Yellow straw color. Aromas and flavors of charred toast, vanilla bean, peach mostarda, nougat, and tropical green tea with a satiny, crisp, dry-yet-fruity medium body and a smooth, interesting, medium-long finish revealing nuances of vanilla gelato, grilled pineapple, candied almond, white pepper, and butterscotch budino with moderate oak flavor. A tasty chardonnay with a great balance of creamy, toasty oak and zippy acidity. 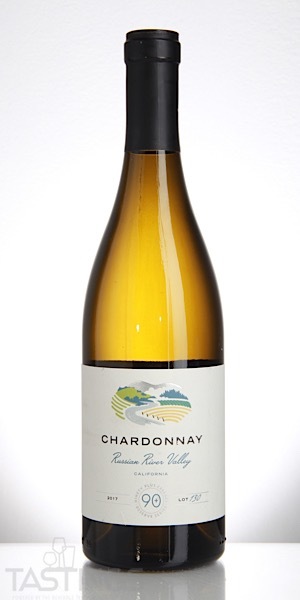 Bottom Line: A tasty chardonnay with a great balance of creamy, toasty oak and zippy acidity. 90+ Cellars - Latitude Beverage Co.
90 • 90+ Cellars 2015 Reserve, Pinot Noir, Willamette Valley 14.1% (USA) $17.99. 91 • 90+ Cellars 2015 Reserve, Pinot Noir, Russian River Valley 14.2% (USA) $17.99. 90 • 90+ Cellars 2014 French Fusion Red, Languedoc AOP 13% (France) $11.99. 89 • 90+ Cellars 2015 French Fusion White, Languedoc AOP 13.5% (France) $11.99. 90 • 90+ Cellars 2015 Lot 94 Collector Series, Cabernet Sauvignon, Rutherford, Napa Valley 14.2% (USA) $24.99. 87 • 90+ Cellars 2016 Lot 134, Italy 5.5% (Italy) $11.99. 80 • 90+ Cellars NV Lot 49 Vino Spumante Rose, Italy 12% (Italy) $11.99. 87 • 90+ Cellars 2012 Lot 128 Gran Vino, Navarra 14.5% (Spain) $11.99. 89 • 90+ Cellars 2015 Lot 64, Sauvignon Blanc, Lake County 14.1% (USA) $11.99. 91 • 90+ Cellars 2013 Lot 26 Collector Series, Barolo 14% (Italy) $34.99. 89 • 90+ Cellars 2015 Lot 60 Reserve Series, Langhe Rosso 14% (Italy) $15.99. 92 • 90+ Cellars 2015 Lot 27 Reserve Series, Barbera d’Alba Superiore 14.5% (Italy) $16.99. 91 • 90+ Cellars 2016 Lot 122, Chardonnay, Mendocino 14.2% (USA) $11.99. 86 • 90+ Cellars NV Lot 50, Prosecco 11% (Italy) $11.99. 83 • 90+ Cellars NV Lot 49 Sparkling Rosé, Italy 12% (Italy) $11.99. 89 • 90+ Cellars 2016 Lot 134, Moscato d’Asti DOCG 6.5% (Italy) $11.99. 91 • 90+ Cellars 2017 Sauvignon Blanc, Marlborough 12.5% (New Zealand) $11.99. 89 • 90+ Cellars 2016 Collectors Series, Cabernet Sauvignon, Rutherford, Napa Valley 14.5% (USA) $27.99. 93 • 90+ Cellars 2016 Cabernet Sauvignon, Red Hills 14.5% (USA) $13.99. 88 • 90+ Cellars 2016 Merlot, Mendocino 13.9% (USA) $13.99. 92 • 90+ Cellars 2016 Reserve Series, Cabernet Sauvignon, Alexander Valley 14.5% (USA) $22.99. 93 • 90+ Cellars 2016 Old Vine, Malbec, Luján de Cuyo 14.2% (Argentina) $11.99. 84 • 90+ Cellars 2016 Cabernet Sauvignon, Mendoza 13.5% (Argentina) $11.99. 83 • 90+ Cellars 2016 Cabernet Sauvignon-Carmenere, Maipo Valley 13.5% (Chile) $11.99. 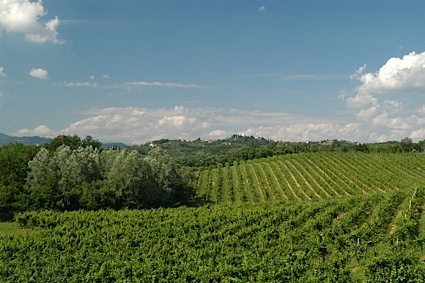 89 • 90+ Cellars 2014 Riserva, Sangiovese, Chianti DOCG 13% (Italy) $11.99. 88 • 90+ Cellars 2014 Grand Vino Red Blend, Navarra 14.5% (Spain) $11.99. 90 • 90+ Cellars 2016 Red, Languedoc AOP 13.5% (France) $11.99. 89 • 90+ Cellars NV Prosecco DOC 11% (Italy) $14.99. 87 • 90+ Cellars 2016 Reserve, Pinot Noir, Russian River Valley 14.6% (USA) $17.99. 92 • 90+ Cellars 2017 Reserve, Chardonnay, Russian River Valley 14.2% (USA) $15.99. 85 • 90+ Cellars 2017 Chardonnay, Mendocino 14.2% (USA) $11.99. 83 • 90+ Cellars 2017 Sauvignon Blanc, France 12.5% (France) $11.99. 88 • 90+ Cellars 2018 Sauvignon Blanc, Marlborough 12.5% (New Zealand) $11.99. 86 • 90+ Cellars 2018 Pinot Noir, Aconcagua Valley 13.5% (Chile) $11.99. 80 • Iron Side 2015 Cabernet Sauvignon, California 14.4% (USA) $14.99. 87 • Iron Side 2016 Reserve, Pinot Noir, Monterey 14.3% (USA) $24.99. 90+ Cellars 2017 Reserve, Chardonnay, Russian River Valley rating was calculated by tastings.com to be 92 points out of 100 on 9/19/2018. Please note that MSRP may have changed since the date of our review.